Blockchain is a new way to distribute information among different “nodes”. A node is simply a computer acting as a link in the blockchain network. It allows information to be shared between all the users. All the nodes are connected with each other, therefore avoiding a single point of failure. As a result, the information cannot be censored or stopped inside this network as there is always a route of communication. Thanks to cryptography, it is impossible to tamper with transactions. The information is stored inside “blocks”. Each block is linked with the previous one in the “blockchain”, therefore allowing a complete history of every transaction since the blockchain was created. The person creating a block is often referred to as a “miner”. Each time a block is created, one basic unit from the blockchain is created. For Bitcoin, one block rewards 12.5 Bitcoins to the miner. For TRON, one block rewards 32TRX. To maintain a truly decentralized network, there shouldn’t be one entity able to mine all the blocks (otherwise it would work exactly as a central bank, creating money and validating transactions). Trust in the network is only ensured because no one has a superior decision-making role over the other members of the network. It is possible different blocks appear at the same time but in different locations in the network. Eventually, only one block will become the next in line within the blockchain. Hence the necessity for nodes to agree with each other about which block is the “winner”. The way nodes are finding an agreement is called the “consensus”. Today several solutions exist. Each with its own advantages and drawbacks. The integrity of the transaction is ensured by very complex hardware computations. 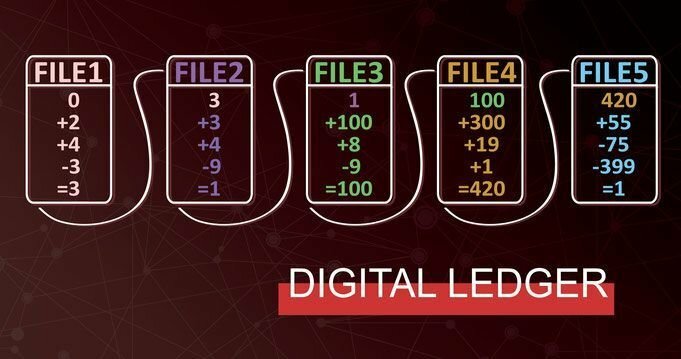 Every miner is in competition to solve a difficult mathematical equation before being allowed to suggest the next block in the blockchain. This ensures a high level of security, but requires a strong hardware set-up. Not everyone can be a “miner”. Ecological concerns have also been raised. It is common for miners to put in common their computing powers into “mining pools”. Until today, the bitcoin blockchain was not altered by specific mining pools. But there is a risk several miners join together in order to take control of more than 51% of the network, therefore jeopardizing the blockchain integrity. In this consensus, the more coins you own, the most likely you are to be selected to be the next miner. Although it is possible that somebody owns more than 50% of the coin, in such cases it wouldn’t make sense to corrupt the network. It would be self-damaging for the attacker. This is the most recent consensus, and this is the one that will be used in the TRON protocol. The idea is to vote for “delegates” in the network that will be in charge of making the blocks. To be able to cast a vote, the voter will need to own TRX (TRON’s currency). Everybody owning coin has the right to vote proportionally to the amount of coin they own. On top of delegates, some nodes will be randomly selected to run as witness nodes. Their role is to confirm blocks and redistribute them through the network. In this architecture, it’s very important for users to express their votes to select the Delegates that are aligned with his vision. It’s democracy applied to blockchain. If you are not satisfied with the Super Delegates in charge today, you can vote for another one tomorrow. It’s important to underline that you can vote for several Delegates by using only a fraction of your total TRX amount for each one. It’s even more important to know that the voting process is FREE. It won’t actually consume any of your coins to express your vote. Once logged on, you’ll be able to request 10 000 TRX from the test net to vote for the Super Delegates available today. Since TRON dev team are performing various test on the test net, each day the account list is reset. Team Tronics account will of course be online and visible before main net launch. For more details about each consensus, you can have a look at the following article (we didn’t write it, but it will give you an extended overview). TRON is an open-source java based protocol enabling large-scale development and engagement. 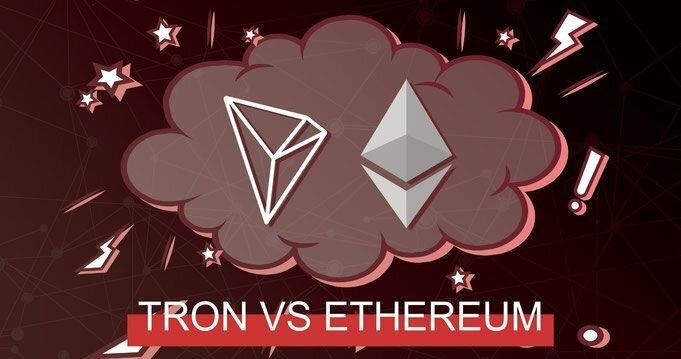 TRON Protocol and the TVM (TRON Virtual Machine) allow anyone to develop DAPPs for themselves or their communities, with smart contracts making decentralized crowdfunding and token issuance easier than ever. TRON’s objective is to build the infrastructure on which the entire internet will be based through the TRON blockchain based protocol. All the users in the TRON network will be free to publish, store and own their data in TRON’s decentralized applications. Imagine (for instance) a space where you can post text that you wrote, or images that you took. There will not be any censorship possible because of the decentralized architecture, but more importantly, the content creator would own its content. Unlike Facebook, Twitter or Instagram, no one could use your content without your permission. YouTube, for example, owns every video content creators upload onto it and it is at the sole discretion of YouTube to decide how much the content creator will get compensated for the content they posted onto YouTube, not to mention YouTube also has sole discretion to remove content they don’t agree with from the platform (censorship). With content posted on the TRON Protocol, the creators have sole ownership and control of content they publish onto the blockchain; it will also be immutable by any single party..
Apart from the standard text and images, TRON allows anyone to create digital assets. For instance, an entrepreneur could decide tomorrow to start a loyalty program for its supermarket. But another entrepreneur could decide to design a game whereby you can play with those loyalty coins and earn more in the supermarket. Those two entrepreneurs don’t even have to know each other, still they can create synergy between their works. The community, entrepreneurs, and developers will decide what they want to do with TRON protocol. In the end, only the best Decentralized Applications will survive and be used by people. Today, several companies have already expressed their desire to be partner of TRON Protocol and run their Dapps on TRON network: Peiwo, Obike, Gifto, and Uplive to name a few as of today, but more will join and are joining everyday. TRON is the perfect architecture, fueled by TRX, for the world’s transition into what we call Decentralized Web 4.0. Ethereum is an open source blockchain based platform featuring smart contract functionality. It is one of the largest platforms where anyone can build decentralised applications. People will ask if we have the Ethereum platform, why do we need to replace it? Ethereum is not alone in the crypto space. Neo, Eos, Qtum, Cadano, Ethereum classic, and others are great challengers. Like any project, Ethereum is not perfect and has room to be challenged. Transaction speed, high fees, developer abilities to use existing programing languages : all those points aim to be improved with TRON protocol. Ethereum project is the most achieved today. But a healthy rival is very good thing for both projects and technology itself. This is the reason why on May 31st, TRON will move to its own blockchain to segregate itself from the Ethereum network. Without Ethereum there would be no TRON. To show its support, appreciation and gratitude towards Ethereum for their support during TRON’s early days, Justin Sun announced that 30 million TRX tokens ($1 700 000) will be airdropped back to the Ethereum community. This step is not only to say “ thank you”, it is also a chance for Ethereum users to experience high TRON Platform once it’s running. 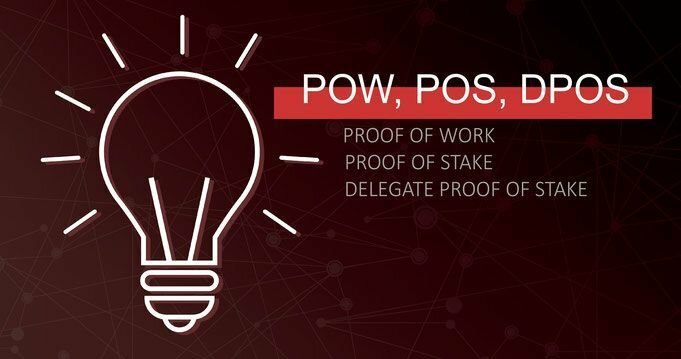 Why DPOS is needed ? Why is it good for the community? TRON Foundation decided that 27 Super Representatives would be in charge of handling the block creation. Anyone else can run a witness node. Why only 27 you might ask? Those 27 are in charge of making the blocks. They need very powerful hardware to do so. The idea is to have only an elected few in charge of making the blocks in order for the network to remain fast. However, everyone remains free to share the blocks as witness nodes. Please remember, the 27 Super Representatives today can be voted out tomorrow for 27 new ones. In this sense, only the ones best serving the community will remain. Super Delegate: Extremely performant servers in charge of creating blocks. Witness Node: Node in charge of confirming blocks while they are moving through the network. 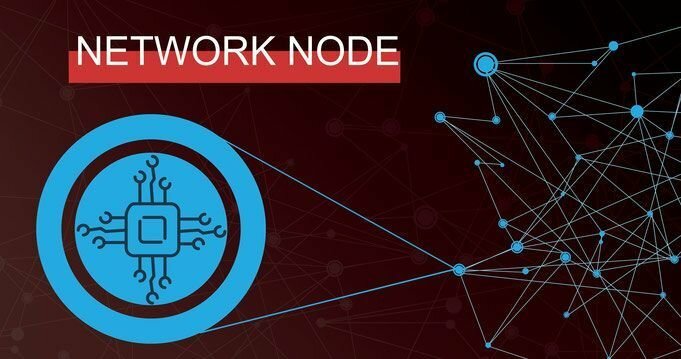 Full Node: Node that verifies transactions and blocks produced on the chain and overall increases the honesty and security of the entire network as more full nodes are run. As an individual, you can run a witness node and help the TRON community. What is your incentive you might ask? Well, you might get some randomly attributed TRX. Also,some Super Representatives may decide to help the witness nodes by providing them extra TRX. As an individual, running a full node is beneficial because it gives you full and direct verification of transactions and gives you a higher level of security and trust for your own wallet funds. This gives you higher certainty in the network and the more people running full nodes, the more honest it will keep the delegates producing blocks. Finally, you can play a role in the blockchain revolution to come without having to invest $40,000 in dedicated hardware. Your old laptop can do the job through Witness and Full Nodes. 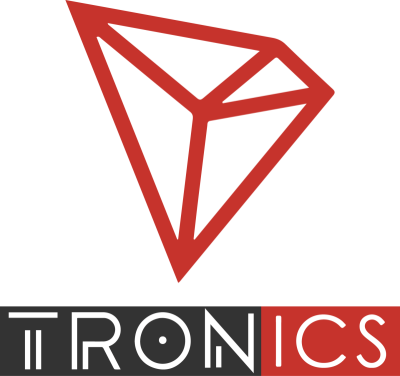 · First, you can follow Team Tronics on Twitter (@team_tronics) and Telegram. · Second, talk about TRON with your family, friends and colleagues. Community is everything, and everybody has a role to play. · You can run a witness node and participate in the network architecture. · You can contribute your time, suggestions or ideas that you believe would benefit the community and/or TRON network. Finally, you should vote for Team Tronics for the Super Representative Election June 26th!! We are the only group representing the entire Tron Community. We are your voice and we are here to serve you.